There are many things I admire about Matt Parker (or, to give him his full title, Friend of the Aperiodical, Mathematician Matt Parker) and his work, but probably top of the list is how he switches, apparently effortlessly, between modes. 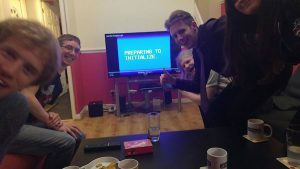 One minute, he’s showing off a fax machine to a group of hard-core geeks with Festival of the Spoken Nerd; the previous, he’s inspiring a “lively” bottom set of year 9s, after putting together a Numberphile video for people somewhere in between. 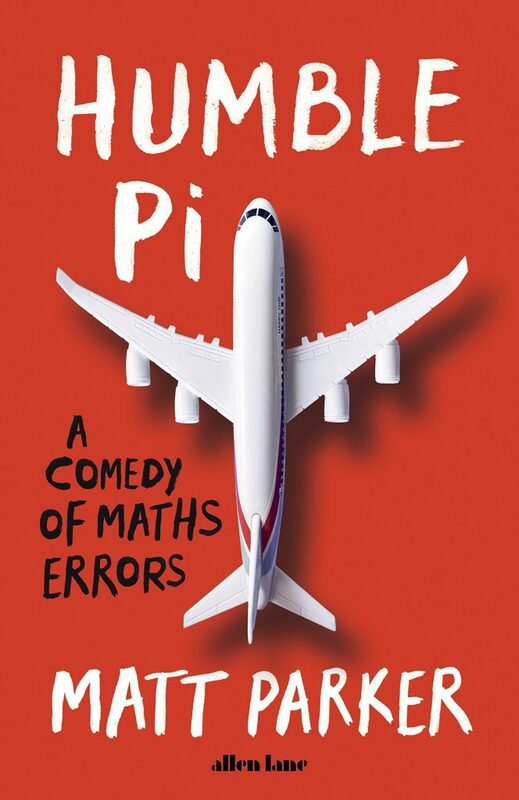 While Humble Pi – A Comedy Of Maths Errors is pitched firmly at the last of those groups – for a popular maths book to hit the top of the Sunday Times bestseller list, it really needs to be – there’s plenty in it for the others. “You Can’t Polish a Nerd” is the latest in a run of live stage shows from science/maths comedy trio Festival of the Spoken Nerd. 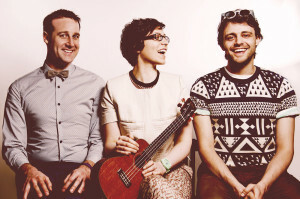 Consisting of friends of the Aperiodical Matt Parker, Steve Mould and Helen Arney, FOTSN is a mixture of comedy, science, music and live demos, and they’ve sent us a copy of their latest show to review. It’s a NERD identity matrix, get it? 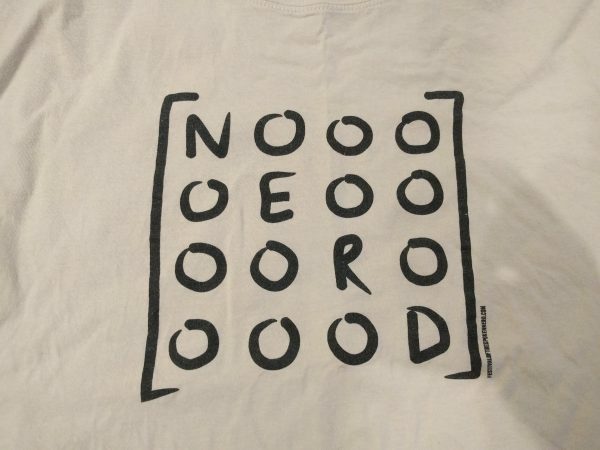 That t-shirt was made by Festival of the Spoken Nerd, and by the way they’ve recently put together some new designs. It’s long bothered me that the nerd identity matrix contains so many zeros. It’s also only an identity matrix if $N = E = R = D = 1$. Surely there’s a joke matrix somewhere with a bit more meat to it? The new live DVD from science comedy trio Festival of the Spoken Nerd, Just for Graphs, is out now, and we’ve been sent a copy to review. We got together a pile of appropriately nerdy science fans to watch (left), and here’s what we thought. Friends of the Aperiodical, nerd-comedy troupe Festival of the Spoken Nerd, are currently on tour around the UK. 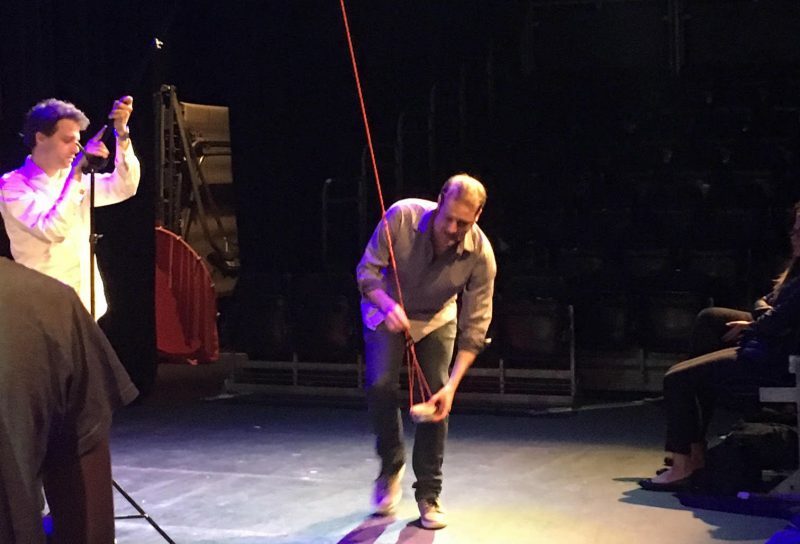 As part of their show, questionably titled You Can’t Polish a Nerd, Matt Parker attempts to calculate the value of $\pi$ using only a length of string and some meat encased in pastry. He’s previously done this on YouTube, and the idea was inspired by the Aperiodical’s 2015 Pi Approximation Challenge, and in particular my own attempt to approximate $\pi$ with a (more conventional) pendulum. In our traditional mode of picking apart the programmes of upcoming science festivals to make sure they’re doing their maths homework, here’s a round-up of the mathematicial goodies on offer at the upcoming Manchester Science Festival, running from 22nd October – 1st November at venues across Manchester. Anticapitalists, please note: This post is categorised “not-directly-paid-for friendertisement”. We’re plugging a thing our friends do because we think it’s good, but alas, they make money off it. Please read with caution. Fans of mathematics and science in general will be pleased to hear that they no longer have to travel long distances to see comedy show Festival of the Spoken Nerd – as it’s on tour! The show features Stand-up Mathematician and friend of the Aperiodical Matt Parker, as well as some-time mathematician Steve Mould, and singer of science and maths songs Helen Arney. The comedy trio are visiting over 30 locations around the UK and performing their new show, Full Frontal Nerdity, which I’m assured ‘contains strong language and spreadsheets’, and is guaranteed to ‘feed your brain, tickle your ribs and light your Bunsen burner’. It’s a longer version of the show they performed at last year’s Edinburgh Fringe, and would make a great group night out for a maths department or other gathering of scientifically-minded humans (just saying). Full details of the show, and a list of dates, can be found at the Festival of the Spoken Nerd website.